Swift India Conference is dedicated to providing a harassment-free conference experience for everyone, regardless of gender, sexual orientation, disability, physical appearance, body size, race, or religion. We do not tolerate harassment of conference participants in any form. Sexual language and imagery is not appropriate for any conference venue, including talks, workshops, parties, Twitter and other online media. Conference participants violating these rules may be sanctioned or expelled from the conference without a refund at the discretion of the conference organizers. If you are being harassed, notice someone else that is being harassed, or have any other concerns, please contact a member of the Swift India Conf organizers or volunteers immediately. Swift India Conf organizers and volunteers can be identified by t-shirts or will be stationed at reception/check-in of the venue. If there is anything else you would like to share, please contact us. This Code of Conduct was forked from try! Swift, which was forked from iOSDevCampDC 2015, which was forked from Droidcon NYC 2015, which was in turn forked from Droidcon India 2014, which in turn was forked from the PyCon US Code of Conduct, which in turn was forked from the Geek Feminism wiki, created by the Ada Initiative and other volunteers and available under a creative Commons Zero license. 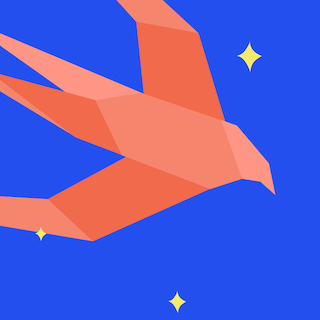 The Conference Code of Conduct for Swift India Conf licensed under a Creative Commons Attribution 3.0 Unported License.